In normal use, the systems and software processes required for correct performance of the website collect some personal data, the transmission of which is part of the normal use of Internet communication protocols. These data concern information, which is not collected in order to identify the subject, but which by virtue of their properties allow users to be identified through the processing and compilation of data transmitted by a third party. This category of data includes the IP addresses or the names of domains, the computer used by the users of the website, the URI (uniform resource identifier) of the resources requested, the time the enquiry was made, the method used to make the enquiry with the server, the size of the file received as response, the status data of the response given by the server (successful, error, etc.) as a numerical code and other parameters with respect to the operating system and the user’s computer environment. These data serve exclusively for statistical purposes and are administered solely in anonymous form, in order to ensure their correct function. The data may be also used to establish responsibility in the event of hypothetical breaches of IT law resulting in damage to the website. With the exception of this case, the aforementioned data shall not be stored for more than 24 months. Data, which are transmitted by the visitor to the website, voluntarily and expressly for the purpose of using specific services (e.g. contact form etc.) and to the Hotel Croce di Malta S.R.L. by means of e-mail enquiries, may be automatically registered, in which case the information is used exclusively for the services specified in the communication of the information. Your data are used for the purpose of responding to your specific queries, fulfilling contractual duties, tax or accounting duties, billing, debt collection and for compliance with the duties prescribed by the statutes in force. Information and personal data, which is collected on this website, including that which the visitor voluntarily submits, in order to receive informational material or other messages, by writing to the addresses given in the Contact section, will be used only for the period absolutely necessary to perform the required service. 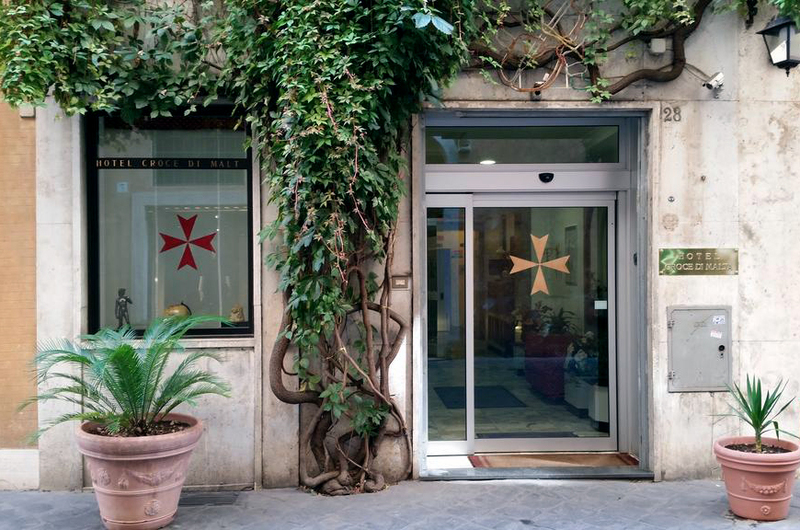 Once the service has been performed, all personal data are deleted on the basis of the data protection guidelines of the Hotel Croce di Malta S.R.L., subject to conflicting governmental requirements or retention required by statute. The site www.crocemalta.com/en/ is not intended for use by minors, who are not authorized to make purchases through the sites listed. We understand the importance of protecting information intended for minors, especially in an online environment, and therefore we do not collect or deliberately keep personal information about minors.